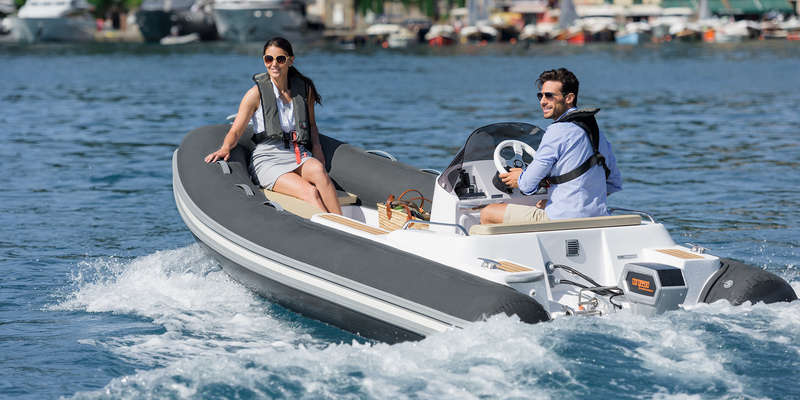 Torqeedo is a pioneering German Brand at the global forefront of marine motor technology. It’s known for its innovation, convenience and eco-friendliness. Founded in 2005, Torqeedo has set many standards, ensuring every product meets the criteria of superior technology and revolutionary benefits. The range includes an outboard for every purpose – from the super-quiet motors fitted to kayaks for peaceful fishing trips, to the Deep Blue model suited to commercial vessels providing operators a better choice for the environment and eco-tourism applications. And they’re smart, enhancing safety for all boaties. As part of Torqeedo’s standard equipment, the motor's on-board computer has an inbuilt range monitor so you know how much further you can go with the current battery life. The additional Torq Trac app overlays range information with a map of your current location to show a visual representation of how far you can travel at a given speed based on current battery power. The motors are also extremely efficient and use powerful and safe lithium batteries which are completely solar chargeable. The five-tier safety system used by Torqeedo for the lithium batteries includes safe battery chemistry and safe packaging of individual battery cells, which is achieved through a precise and clean production process that incorporates a Battery Management System (BMS) with redundant safety features while meeting the waterproof IP67 standard. What’s even more enticing is with a ban on twostroke outboard engines imminent, boaties can say goodbye to carrying petrol on board – making it safer and cleaner, and providing the confidence of not running out of fuel. These innovative and eco-friendly motors enhance safety, are low maintenance and provide long-term savings on fuel costs, motor services and environmental impact. In Island Yachts Broker we are distributors in Menorca of this star product. Do not hesitate, come to our office and we will inform you in detail about these winning products. We will advise you the option that best suits your needs and / or budget. We remain at your disposal!